I’m Terrence Smith. I’m a writer. From 2009 to the end of 2014 I mostly worked for the indie game dev Dischan Media. Wrote Juniper’s Knot and co-wrote Dysfunctional Systems. I also can edit audio! Incredible. Graduated from William and Mary, and set up this blog so that I could write more things. You’re really not missing much, though. Wait, what – you were the writer for Juniper’s Knot and Dischan?! I adored Juniper’s Knot. It was a wonderful story. Man, I did not expect to stumble upon a blog by you when I opened that Batoto thread (on Helck). Ha, thanks. Yeah, I worked with Dischan from the start, though I’m not with ’em now. JK was a sweet little story to write. 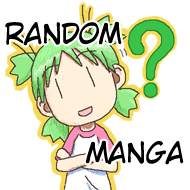 I Was wondering if I could ask you a few questions about manga! I should be fine with that, depending. What, you mean on here or through email or something? Nice, I think I remember reading it. Also, glad you enjoyed them, they were fun to make.